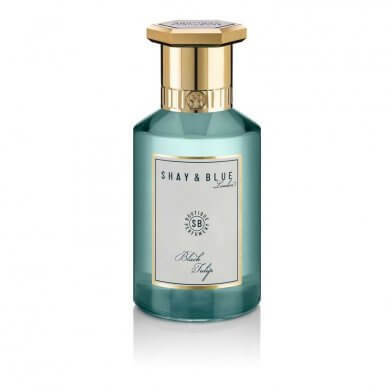 Categories: Shay & Blue, Unisex, BOUTIQUE, FOR HER, FOR HIM, PERFUME. Make a signature floral statement. Snowdrops and cyclamen lend a note of floral freshness that opens into velvety black tulips and plum. The creamy vanilla warmth of white chocolate and soft woods leave an elegant impression. Top Note – Snowdrops and cyclamen bring instant floral freshness.